The shoot-down of a Turkish air force RF-4E Phantom II over Syria, highlighted the inherent dangers of the fighter-recce mission. Reconnaissance-fighters have flown some of the most daring aerial missions, often flying alone deep in enemy airspace, relying on speed and guile for survival. A panel of experts was assembled to decide which aircraft would make the selection, in what become one of the most heated debates in Hush-Kit history. 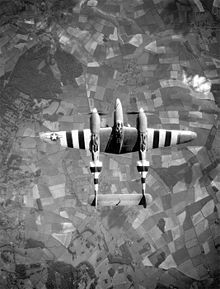 Before the Thunderbolt and the Mustang reached service, the Lockheed P-38 Lightning was by far the US Army Air Corps most exciting fighter. It set records and it looked like it had flown straight out of the future (it would inspire the looks of a whole generation of American cars but that is another story). It was also more than usually suited to adaptation to the reconnaissance role than the average fighter aircraft of 1940 being possessed of a very good range and a decidedly large aircraft and thus well able to handle carrying the bulky camera equipment of the time over a long distance. The first ‘combat-capable’ P-38 was the E model and this was the first selected to be adapted for reconnaissance. Designated the F-4, its armament was replaced with four cameras. Some were built as such at the factory, others modified in the field but around 100 were produced. 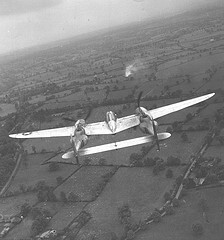 Somewhat surprisingly these were the first of the Lightning family to see operational service, the first sortie being made from Australia in April 1942. In Europe, the P-38 had a decidedly mixed career, with many teething troubles that led to its never really being entirely acceptable to its crews at the time it was most sorely needed and it faded from fighter operations as the P-47 and P-51 became available in decent numbers. By contrast, the reconnaissance versions proved invaluable from the start and would prove to be America’s most effective reconnaissance aircraft in every theatre in which they operated. Some 1400 were built or modified from fighter airframes, early examples being designated F-4, later aircraft derived from the P-38G onwards were known as the F-5. None was armed and most were painted in various shades of blue. Initially, this consisted of a specially developed paint resulting from much research and experiment called, rather charmingly, ‘Haze’. Difficult to apply and prone to simply flaking off it was replaced by a different, bluer, paint called ‘Synthetic haze’ which did just fine until the USAAF decided that its aircraft were no longer to be painted at all. This did not go down well with the F-5 pilots who were required to fly an unarmed aircraft alone through hostile skies for many hours and might be forgiven for wishing their aircraft to blend in as much as possible with their surroundings rather than shine and shimmer in the sunlight like chromium. 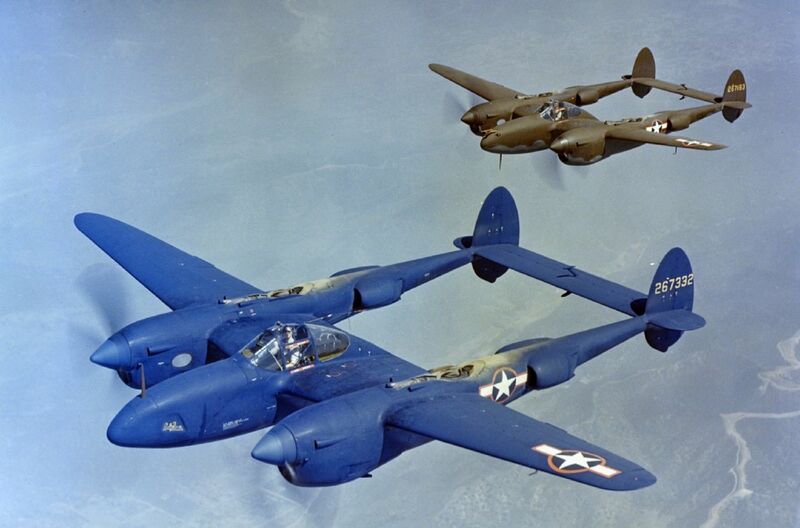 As a result, the last F-5Es, all of which were converted from P-38Js, were painted with British PRU blue upon their arrival in England. Despite all their success the reconnaissance Lightning will probably best be remembered as the aircraft in which the renowned French author and pilot Antoine de Saint-Exupéry disappeared. His F-5B was missing until 2000 when a diver discovered the wreckage spread over a large area of the Mediterranean. It will probably never be known what caused the aircraft to crash and is a most unfair association for the finest US reconnaissance aircraft of the war.